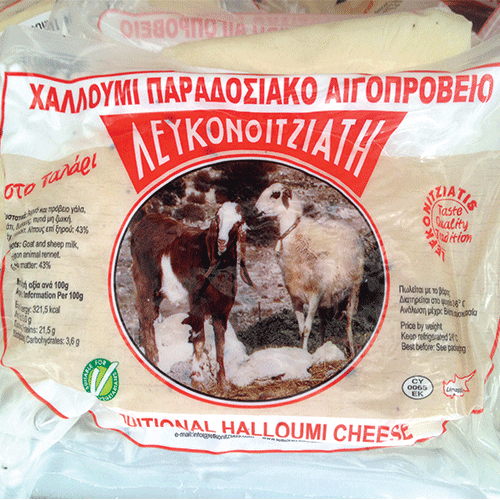 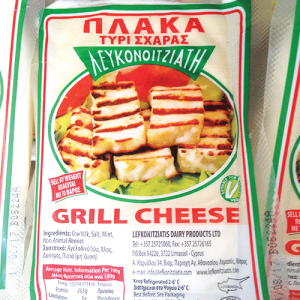 Traditional Halloumi Cheese. 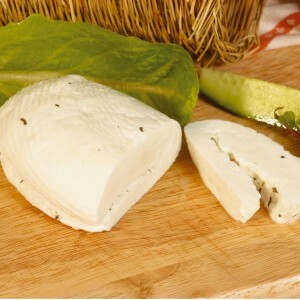 A blend of goat and sheep milk, rennet (non animal), salt, mint. 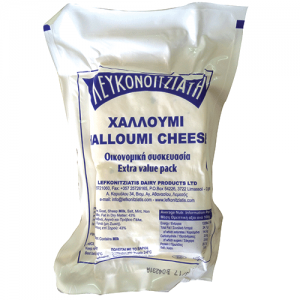 It has a characteristic strong milky flavour.